The SSD/NAND isn't dead, even in 2024! A few days ago a new study with the title: "The Bleak Future of NAND Flash Memory" by Grupp and co has appeared and was presented during the Usenix-Conference on File and Storage Technologies, in San Jose (California). We all know that each new study will only reflect the meaning of the guys how wrote and/or finance them. We'll give the NAND Flash industry the chance to state their thoughts and opinions on this topic. The best place to get in touch with a lot of the technical experts are conventions like the CeBIT in Hannover, Germany. So while most editors just listen to a commented version of a more or less boring Powerpoint presentation, we decided to discuss "The Bleak Future of NAND Flash Memory" with the NAND Flash Memory industry. The most criticised part of the study is the transparently noted fact that the paper ignore the huge influence of the used memory controller and the technics in there. The fact that each shrink in manufacturing will simultaneously mean less P/E-cycles for each cell isn't new for the industry and also nothing new for anyone else how is a little bit more interested in this topic. As possibly a lot of you can remember, a few years ago not so many controllers use an algorithm to balance the write-cycles across the cells. So it was likely to happen that one part of a Flash device was damaged while the rest was nearly new. Today this problem is very well under control. Secretly we received the information that for example Sandforce has just integrated an algorithm/feature into it's current SSD controller generation, which will make it possible to use NAND Flash processed in 15nm without having more problems than using 19nm NAND Flash instead. The feature isn't active yet, because it's not helpful for current NAND Flash generation but it will decrease the performance a little bit. The next thing is that the study (has to) compare two different things, but they did it in once. At first obviously the process technology. But the 19nm process is a brand new state-of-the-art process technology, meanwhile e.g. 25nm is just running a bit longer and therefor it's also a little bit more optimized. So the study also compare NAND Flash which was produced in a (very likely) very well optimized process against a process that could be improved (a lot). 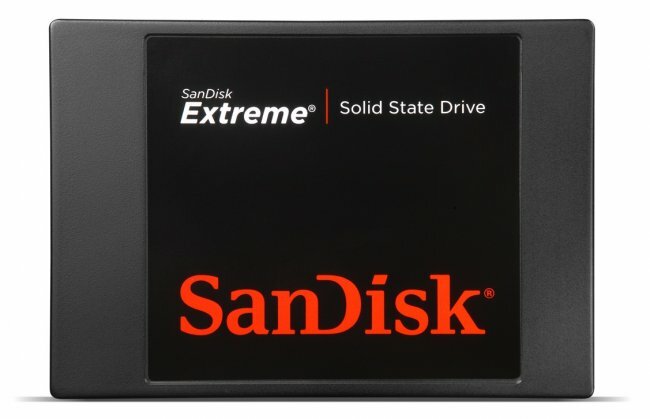 Let's have a look on the current SanDisk high-end consumer product range, for example: Extreme (Pro) memory cards, the Ultra SSD or the brand new Extreme SSD - It doesn't matter. Today each of them use NAND Flash processed in a 25nm process even if their 19nm process is already in volume production. Why? Because they're aware of limitations and employ hundreds of engineers to make it possible to e.g. use 19nm NAND Flash in upcoming high-end products without compromises in reliability and speed. Speed is our last keyword. This is the point where a new memory controller generation can easily bring a huge speed-up. Look back several years and compare the controller generation with the current one: Each of them was able to increase the speed. And the "development train" just gathering momentum. Technics like on-chip level RAID or stacked memory for a much faster connection between the NAND Flash and the controller are yet to come. For example, the new corporation between OCZ and Marvel. Currently several hundred engineers are busy developing the Z-Drive R5, the first high-end enterprise PCIe SSD based on the native PCIe SSD Controller. The Z-Drive R5 will reach up to 7 GB/s bandwidth and about 2.5 Mio IOPS - you'll need around 12.000 15k rpm HDDs to compete. This will also mean about 120 kW power consumption on the HDD side compared to a few watts on the SSD side.